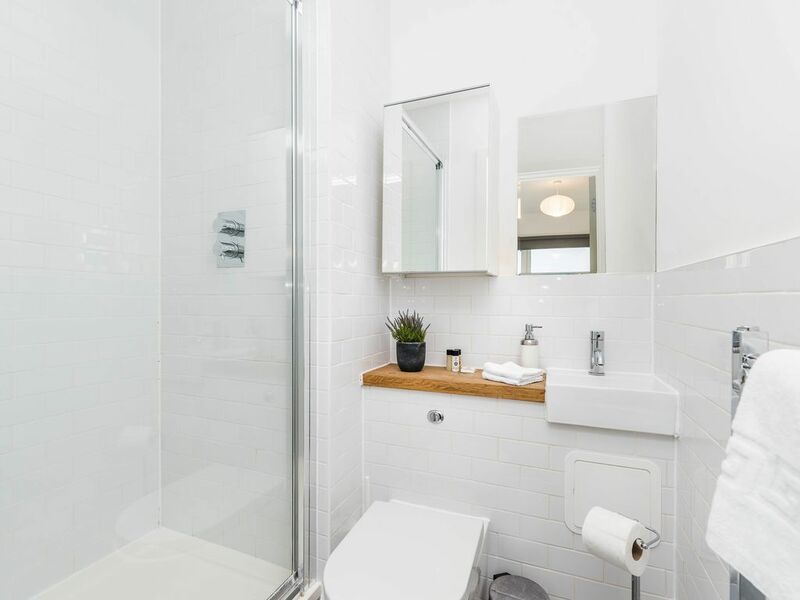 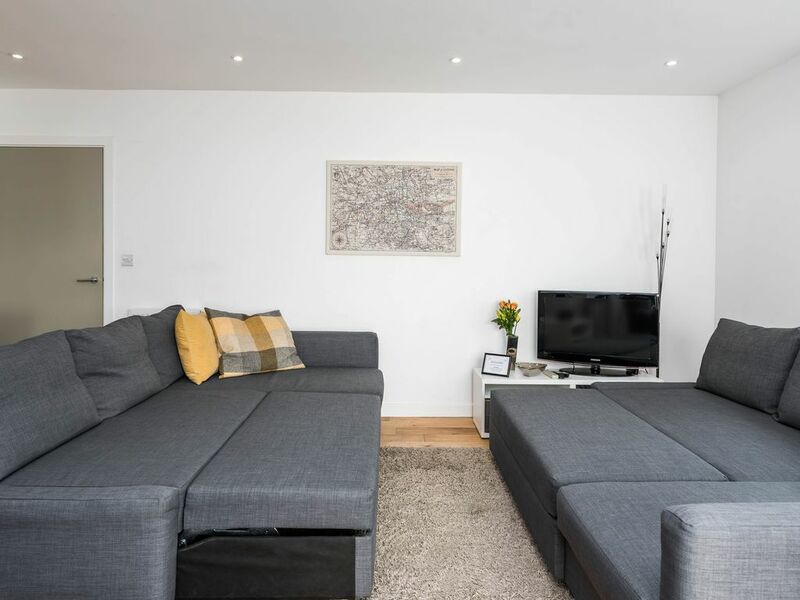 Smart and spacious, with room for up to 8, and its own outside space, this modern ground floor 2 bedroom apartment in south London, is close to the Thames and plenty of the capital’s tourist attractions. 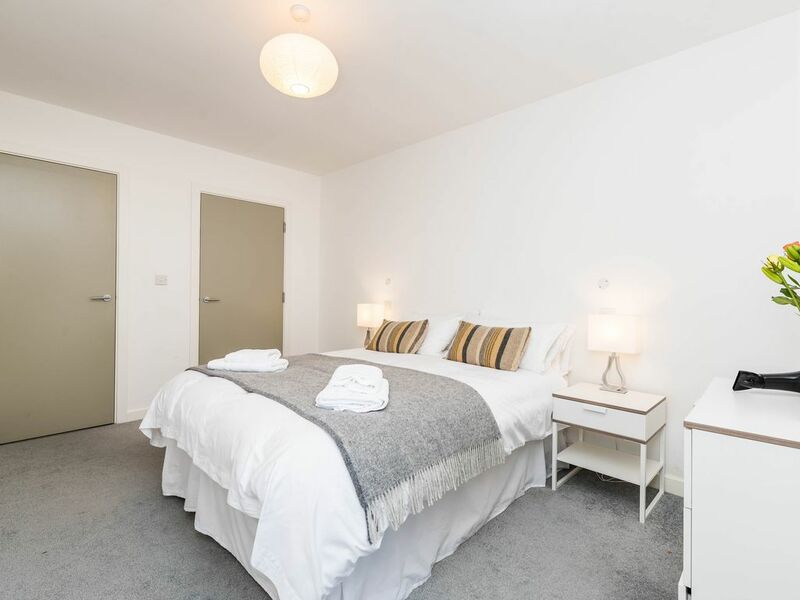 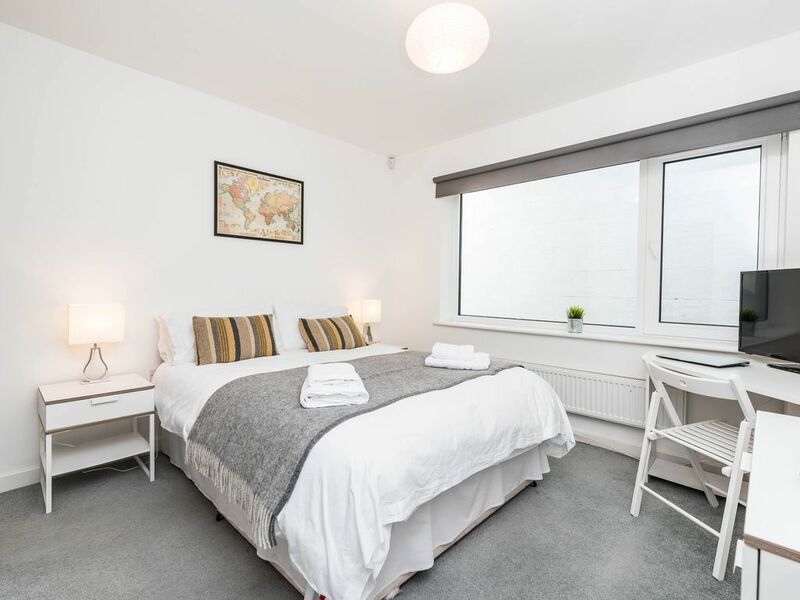 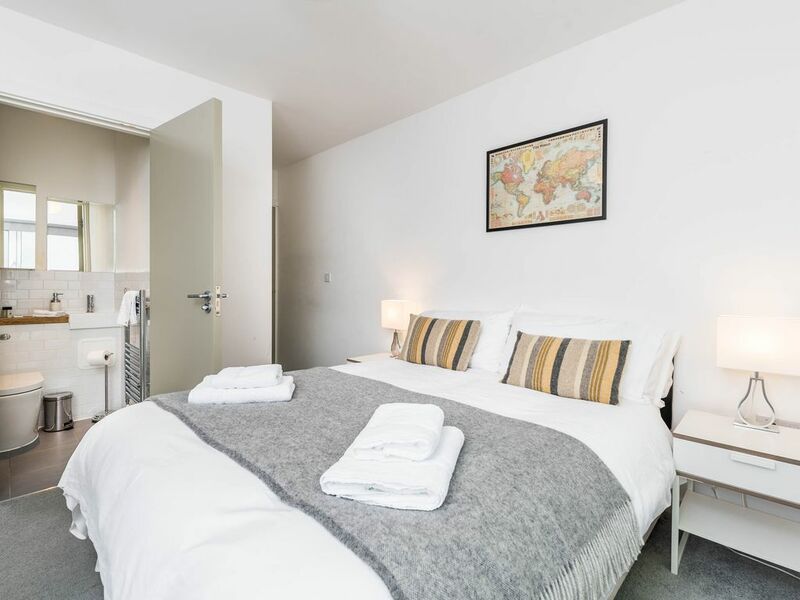 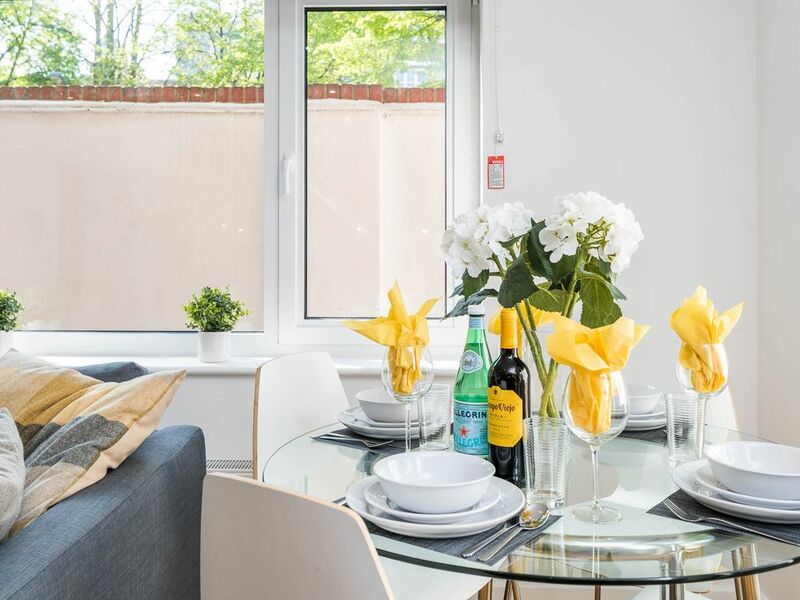 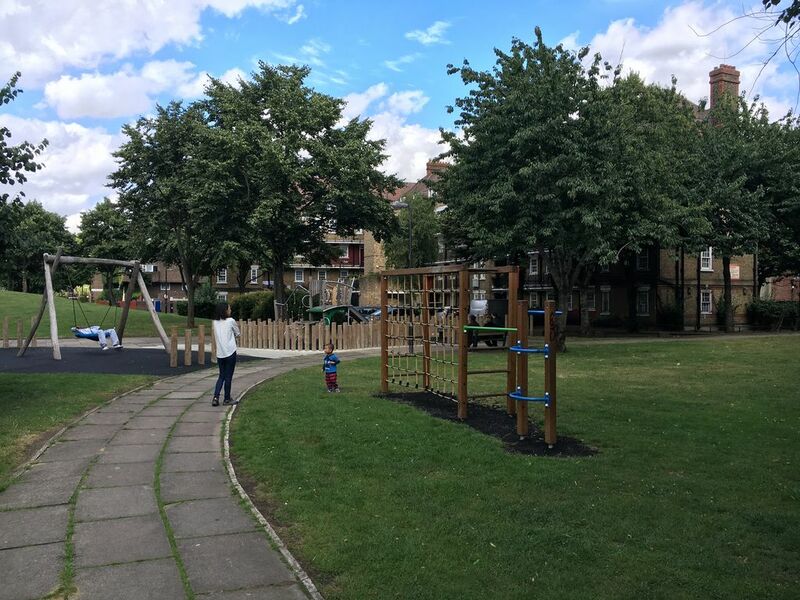 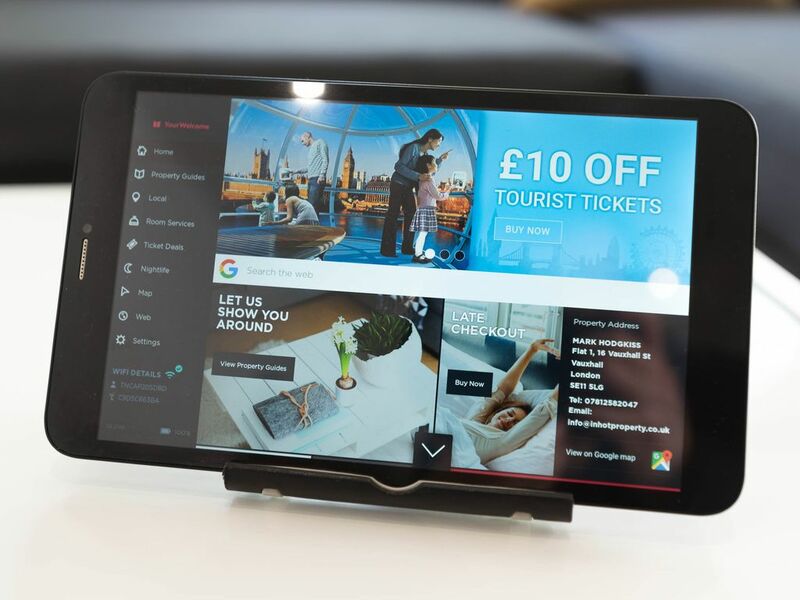 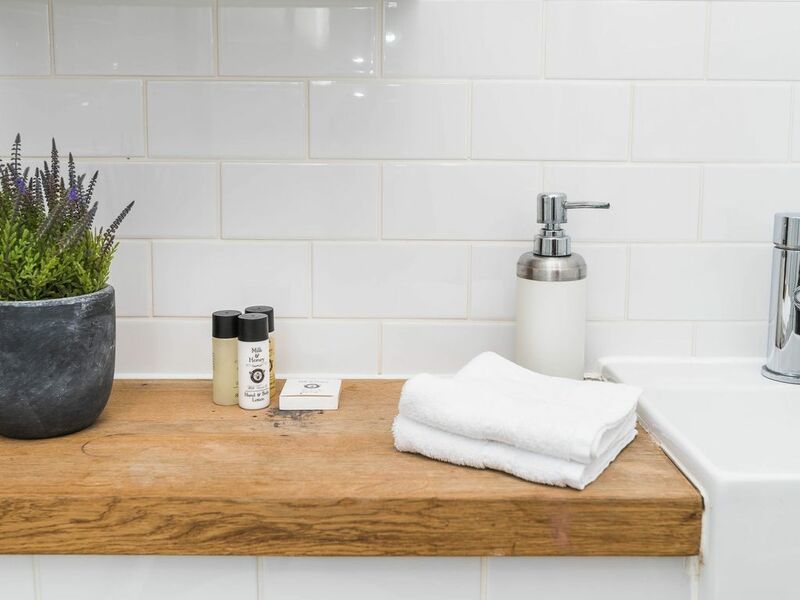 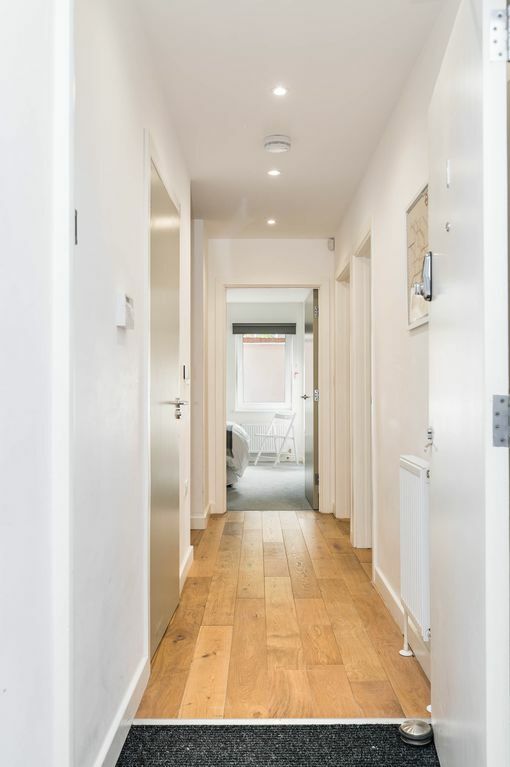 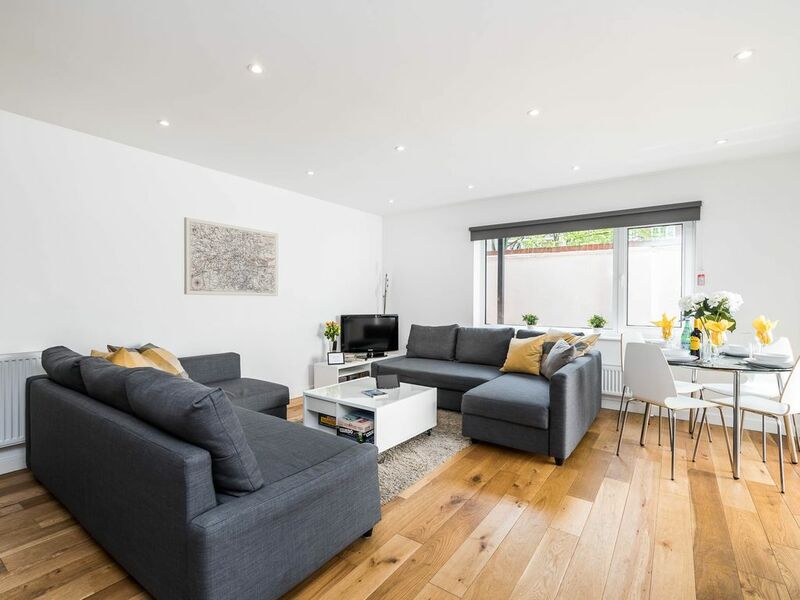 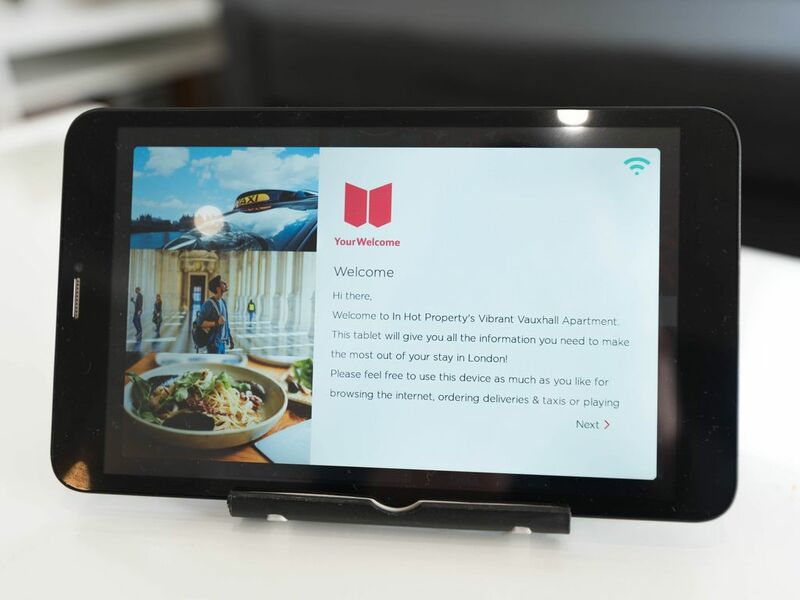 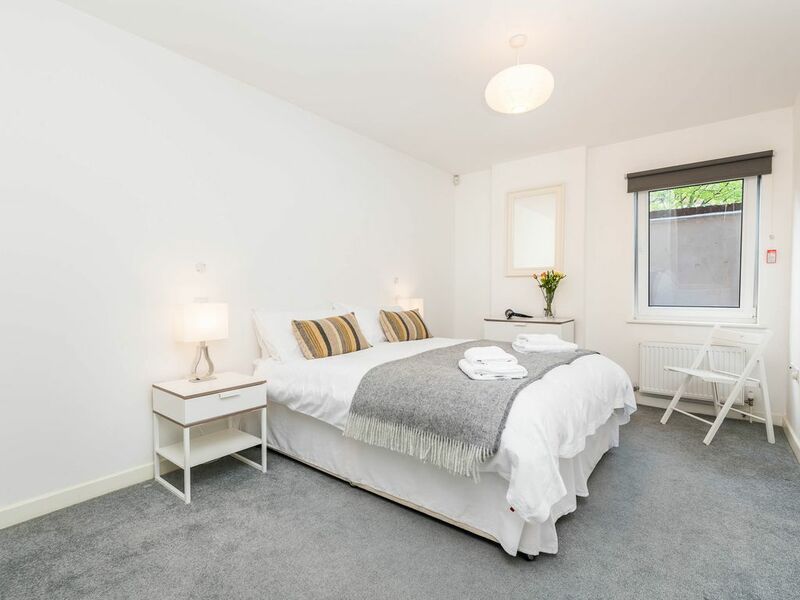 It’s ideal for families, couples and corporate travellers wanting to stay in an up-and-coming area of London, close to many of London’s tourist attractions and business districts. 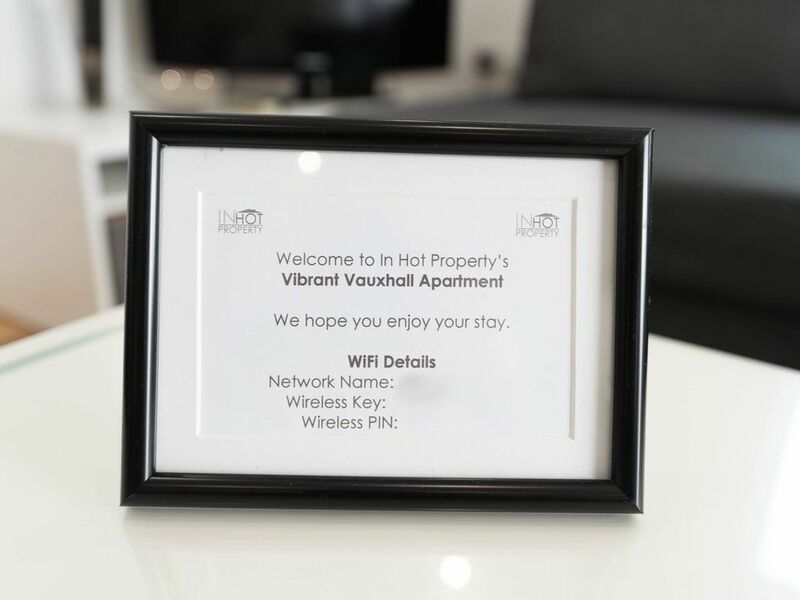 As soon as you enter Apartment 1, you’ll realise where this modern development in Vauxhall gets its Vibrant tag. 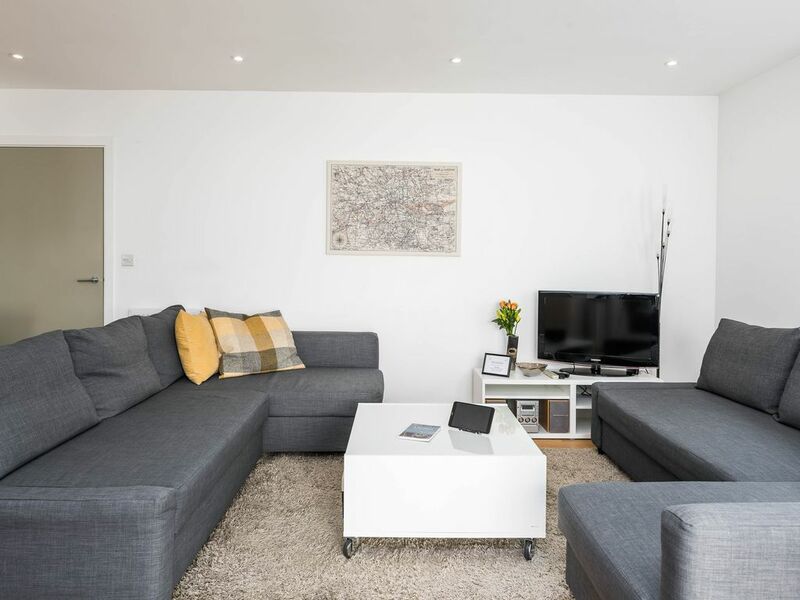 It’s a bright 2-bedroom apartment with modern decor and a dynamic layout. 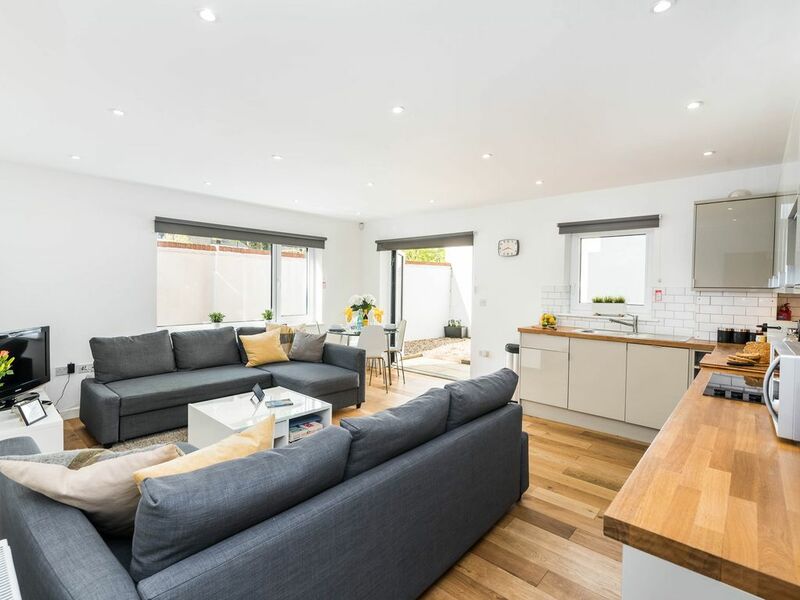 The main, open plan living area is where it all comes together, with the striking contrast of the wooden floor and white walls combining to deliver a smart and welcoming area that’s designed for socialising and relaxing. 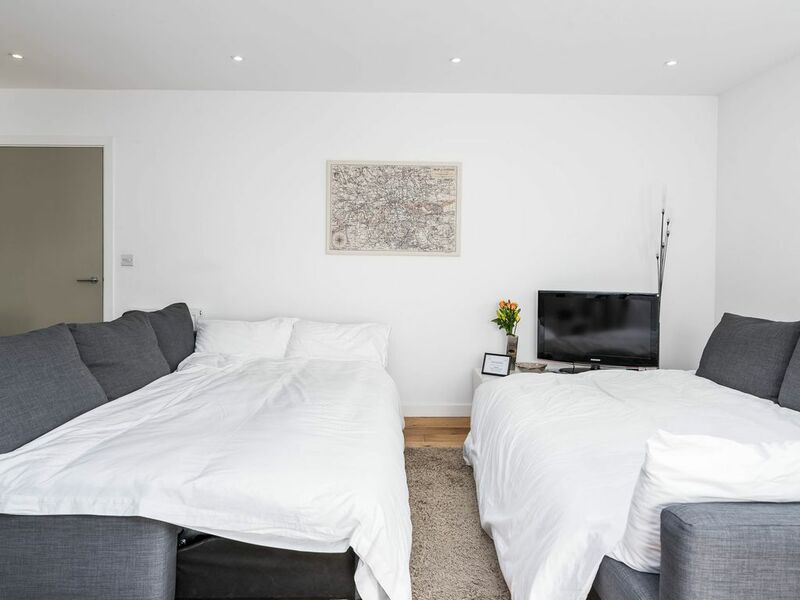 The space is so big, there’s enough room for twin sofas, both of which convert into double beds, so there’s sleeping room for guests 5, 6, 7 and 8 if there are that many of you in your party. 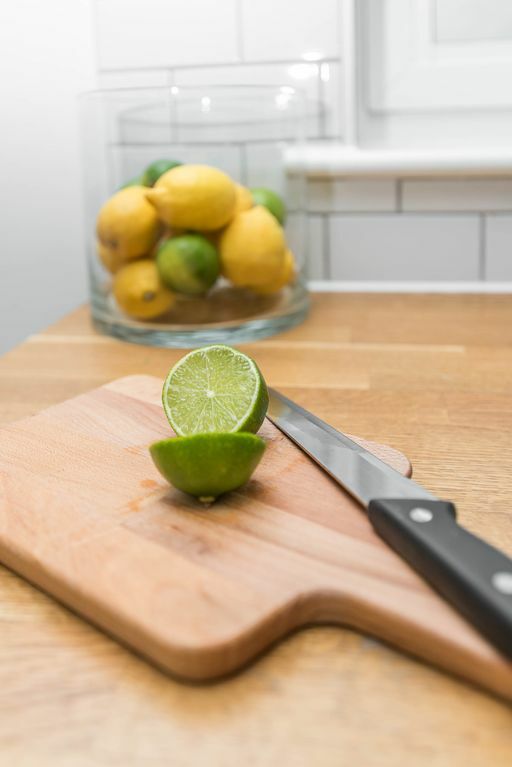 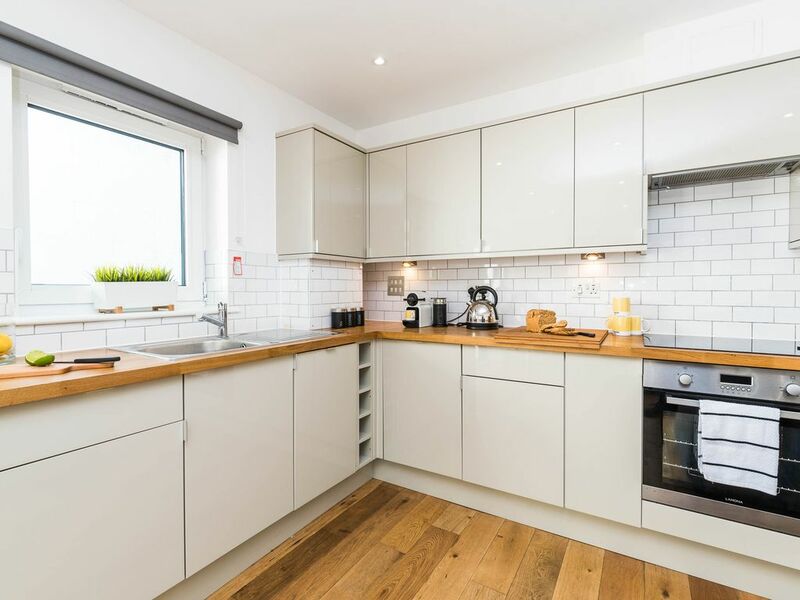 Also in here, a dining table for four, and the apartment’s modern kitchen, its white cabinets and tiling, together with its wooden worktops brilliantly fitting in with the rest of the property’s look and feel. 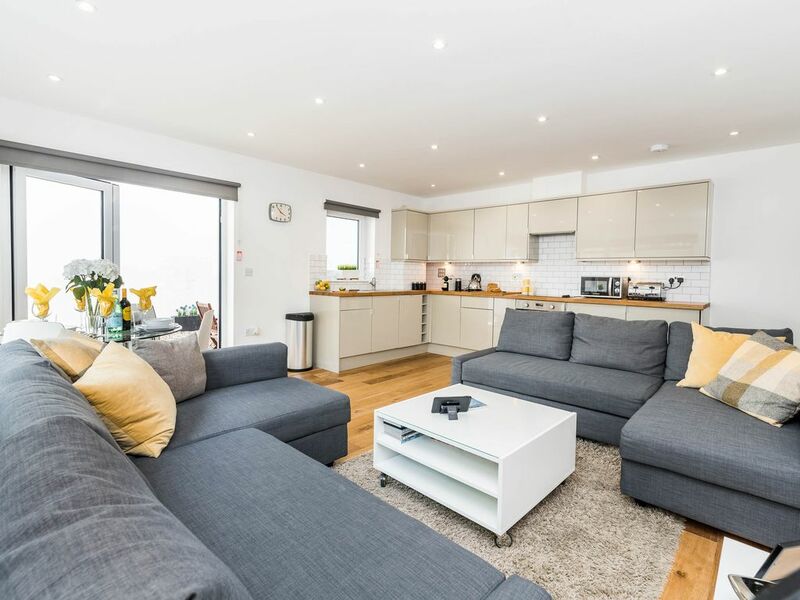 One of the big advantages of being on the ground floor in Vibrant Vauxhall is that you get exclusive use of the outside space. 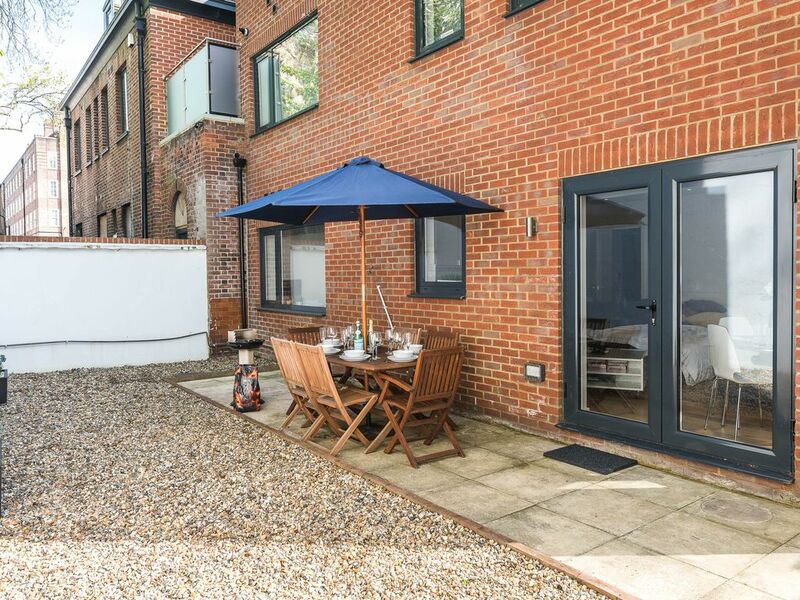 There’s a patio area with table and chairs that leads to a gravelled area - so if you fancy a BBQ, here’s where it will happen. 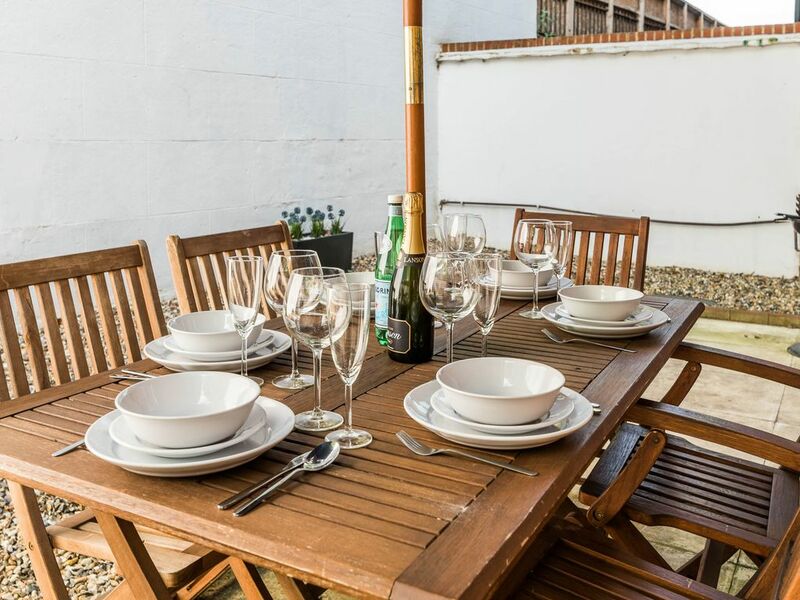 It’s a real treat finding any private outside space this centrally in London, so make the most of it! 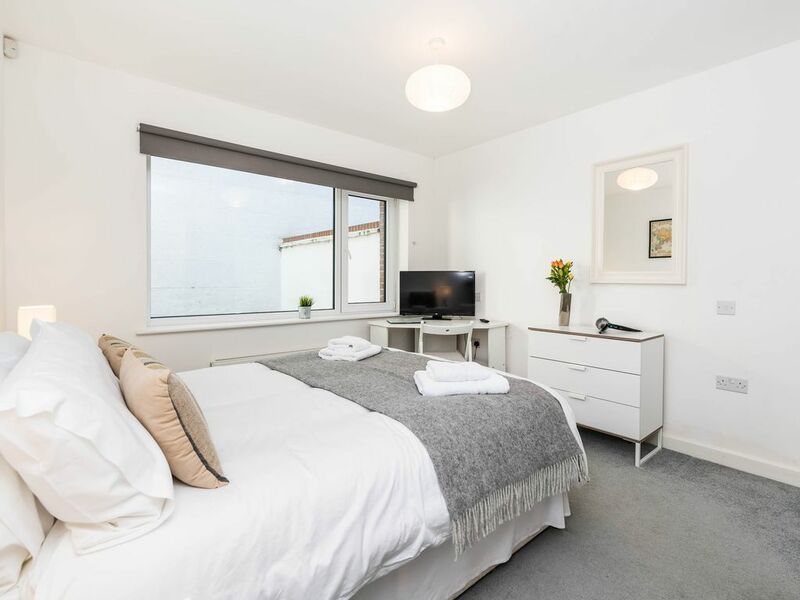 Heading back inside, and both of the bedrooms continue the smart and modern theme, with big and comfy beds, flatscreen TVs and plenty of room for your stuff. 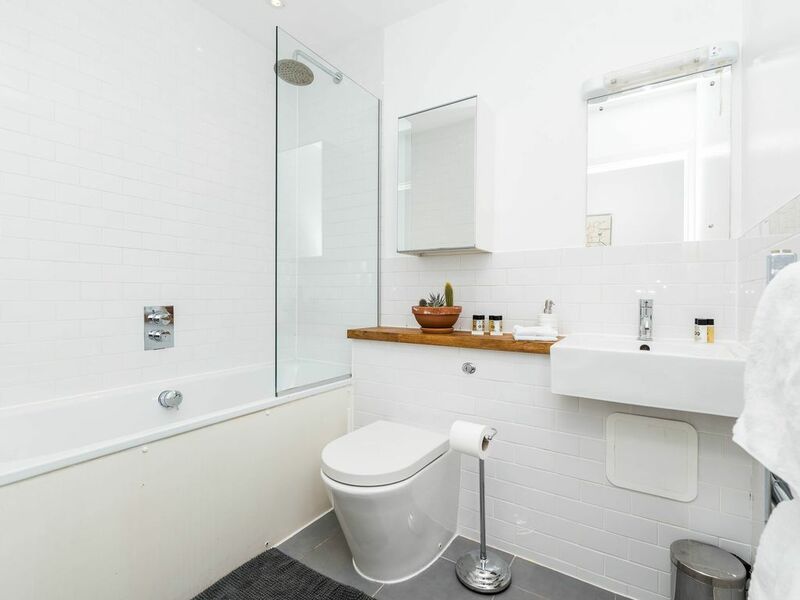 The master also has an en-suite but, with a desk and chair too.